As a commercial and administrative hub for the surrounding areas, Orangeville is an excellent place to do business in Ontario. If you have already established a business in Orangeville, you probably already have a successful business plan, skilled employees, reliable clients, and big dreams. But how is your office? Maintaining long-term business success requires more than hard working employees and a history of past achievements—you also need the promise of future success. One way to achieve this is by assuring that your office reflects your goals as a company. A business with big dreams should have an office to match. If you’re looking for ways to build momentum in your company by remodeling your office, call Alliance Interiors today. Whether you’re an entrepreneur running a business out of your home or a manager of hundreds in a huge office downtown, Alliance Interiors has the experience and expertise to help you reimagine and redesign your office. When is it Time to Call Alliance Interiors? Sometimes, it’s easy to tell when your office is in need of a remodel. If wheels are falling off chairs and you can’t remember what color the carpet is supposed to be, it’s probably time to call Alliance Interiors. Other times, though, the signs are less clear. Even if you aren’t consciously aware of anything wrong in your current office, there are probably ways that your office could be restructured to increase your employees’ productivity and boost their morale. Maximize productivity. Sometimes, a simple restructure can make a huge difference in the ways your employees interact with each other and work amongst themselves. Optimizing workstations can have a huge impact on employee effectiveness, concentration, and morale. Attract more customers. Potential clients will have a much more positive view of your company if they see that you’re operating out of a beautiful new office. Wouldn’t you prefer new clients or business partners to associate your company with sleek new desks and a fresh paint job instead of cluttered cubicles and broken chairs? When you remodel your office, you give your whole brand a fresh new face. Increase employee satisfaction. A newer office makes for happier employees, and studies have shown that productivity increases when employees are comfortable in their surroundings. Not only will workers feel prouder of themselves and their company if they’re working in a freshly renovated office, but they’ll be more comfortable physically in their new ergonomic chairs and top-of-the-line desks. At Alliance Interiors, we know that there are many steps to any successful office remodel. Because Alliance Interiors is a full-service interior design firm, we will work with you along every step of the way to ensure that your vision for your office is recognized and that your remodel receives the attention that it deserves, from start to finish. Office Project Management: Our designers will work with you to draw up a plan based on your needs and desires. 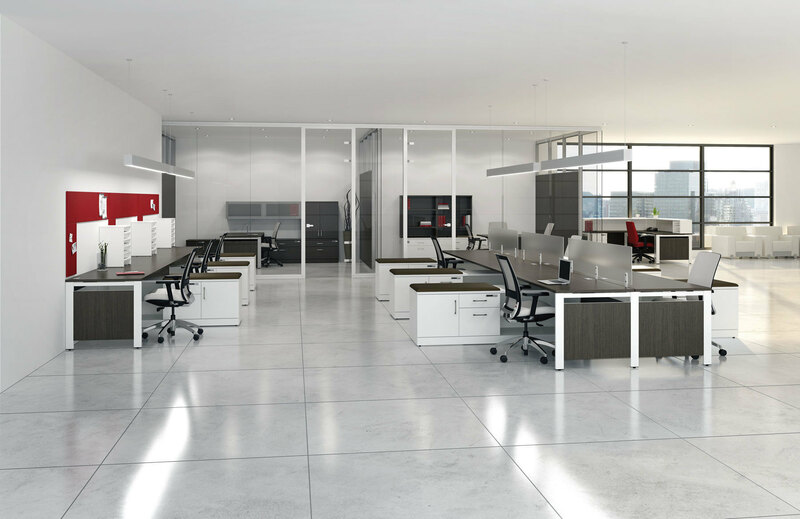 With your specific goals in mind, we will help you develop a budget and review project specifications for your perfect office remodel. We will also work with an experienced designer to produce a full set of working drawings. Corporate Office Relocations: Alliance Interiors understands that sometimes businesses simply outgrow their old offices. If you’re looking to take your business beyond renovations and into a completely new office, we can help you make the transition. Whether you’re looking to move into a new suite down the hall or a new building miles away, Alliance Interiors will work with you to coordinate your office relocation in a way that will make the process smooth and hassle-free. Home Office Design: Home offices are just as significant as corporate offices, which is why Alliance Interiors gives the same amount of attentiveness and care to home office remodels as we do to corporate offices. When it comes to home offices, Alliance Interiors will work with you to ensure that we understand exactly what your needs are so that we can help you create a workplace that is optimized for maximum productivity and comfort. Office Space Planning: Because office layouts can have such a drastic effect on employee interaction and productivity, Alliance Interiors is determined to help you plan out a layout that will best suit your office and the needs of your company and your employees. Office Furniture Procurement: Since no office remodel is complete without furniture, Alliance Interiors is committed to helping you find the best furniture for your office. From desks and chairs to shelves and lockers, Alliance Interiors will help you procure the highest quality furniture for your workspace. Once your office is remodeled, the layout is improved, and décor is upgraded, there’s still one more extremely important aspect to consider: the furniture. Since your employees are your most valuable resource, you want to make sure that they are as comfortable as possible during the time they spend in the office. Comfortable employees will not only be more satisfied, but they’ll also be able to work more steadily and more effectively throughout the day. Alliance Interiors will facilitate conversations between your company and these top brands to ensure that you receive the best furniture available. We can’t wait to hear from you so that we can get started on creating your ideal business environment!